Taichung Veterans General Hospital (VGHTC) is a major medical centre and teaching hospital in central Taiwan. Apart from providing advanced medical care and services, the 1,500-bed public tertiary hospital also offers large-scale training of medical students and healthcare professionals. Since the introduction of STATdx, radiologists at VGHTC are able to find relevant information for image referencing and diagnose more quickly and effectively. Besides its expert-curated collections of evidence-based high-quality images, STATdx also offers radiologists a comprehensive and well-organized source of reports and tools for case studies and educational purposes, compared to other resources. Available on a single platform, STATdx’s image search results and concise descriptions saves up to 67 percent of time spent on each case’s diagnosis at the hospital. The tool provides quick and accurate support for diagnostic decision-making in daily clinical practice, helps increase confidence in diagnoses among doctors, and serves as a powerful resource for continuous education of both medical students and professionals. Taichung Veterans General Hospital (VGHTC) is an accredited Medical Centre and First-Class Teaching Hospital since 1991. In line with its teaching hospital status, the radiology department is highly sought after for its radiology post-graduate training and clinical internships, by medical post-graduates and undergraduate students alike. The VGHTC Radiology department, consisting of a team of 21 specialised radiologists, 16 residents and more than 50 technologists, performs more than 450,000 diagnostic imaging and interventional radiology services a year. Radiology image referencing is a standard part of radiologists’ daily work and radiology students’ journey. Prior to their subscription to STATdx, VGHTC’s radiologists and students turned to general web search engines such as Google to generate image references, especially when faced with rare or unfamiliar diseases. While Google is undeniably the most accessible search tool for images, keyword searches and filters are often unable to deliver the specific search results needed, and tend to return irrelevant images. This method also means time is spent sieving through copious amounts of irrelevant information. With more indicators, there is greater confidence and certainty about what one is looking at. It helps to minimize misinterpretations. On the other hand, journal papers and electronic textbooks are rich sources of information, but residents point out that the in-depth information takes too much time to review and is less helpful when a quick review is required. Other tools and web-based radiology resources such as Radiopaedia were employed to help alleviate this time consuming and laborious process. However, these free resources, which depend on peer-contribution of images and cases, lack images for many cases so radiologists still had to turn to Google. This led to unnecessary time and effort spent on screening large amounts of information, which are sometimes irrelevant, instead of actual learning and clinical work. In 2016, VGHTC began subscription to STATdx – a diagnostic decision support for working and studying radiologists. The platform is designed to help radiologists increase the speed, accuracy and diagnostic confidence in imaging cases. STATdx contains a vast collection of evidence-based and expert-based information for radiologists, with over 4,000 diagnoses and 200,000 expert-selected and annotated image examples online. Beyond its comprehensive image database, STATdx provides clinical decision support with almost 1,300 expert differential lists, 20,000 patient cases and related journal articles, allowing radiologists to compare multiple diagnoses side by side and increase confidence in diagnosis. Since starting the subscription, usage of the tool has grown within the radiology department through word-of-mouth recommendations, with more than 1,000 images viewed every month (refer to Figure 1). STATdx is now the go-to resource for residents and medical students preparing case reports, due to its comprehensive and well-organised content. The extensive database of images, search tools and expert-written notes has been adopted into radiologists’ daily routines of making clinical diagnosis and preparation of patient case reports. The platform is also widely used as a supplementary teaching and learning tool in the department where continuous learning is emphasized. Medical students and junior doctors turn to STATdx for independent learning as well as for writing and discussing case reports; residents preparing teaching materials refer to STATdx for its sharp and accurate images. The figures from STATdx are clear, concise and specific to the disease entity or topic that I want to review. It saves a lot of time compared to sorting through thousands of pictures on the internet. Resident radiologists and students no longer waste time searching through irrelevant or copious amounts of information but are able to find the right information for their specific image referencing and diagnoses needs quickly and effectively because of STATdx’s intuitive category and image search functions. Radiologists also find the platform more comprehensive than other tools such as Radiopaedia, which are dependent on peer-contribution and hence lack in image references for many cases. Illustrating the tangible outcomes of using STATdx as a clinical support tool, chief resident radiologist Dr. Yun-Chung Cheng recounts an instance of an unusual ultrasound image of a patient with a liver abscess. A search on Google returning images of all kinds of liver abscesses proved to be unhelpful. However, a quick search on STATdx’s differential list and indicators returned a remarkably similar image to the patient’s which eventually led to the right diagnosis and treatment of an amoebic abscess. Resident radiologists of VGHTC highlight that the greatest benefits of STATdx are its comprehensive library of images, concise differential lists and powerful search function. 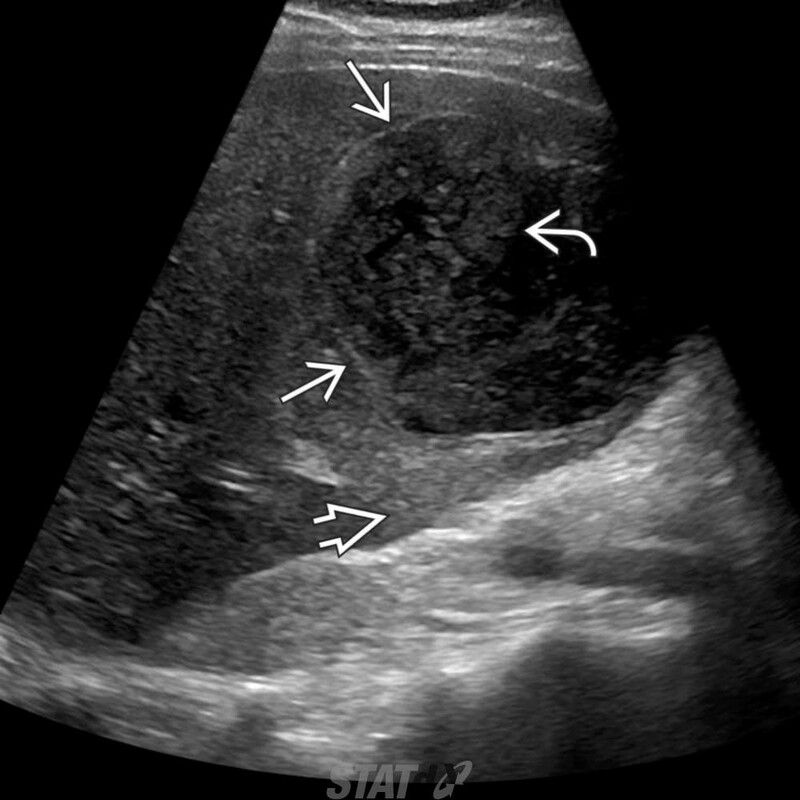 Picture 1: Sagittal grey scale ultrasound of a liver shows a large, well-demarcated and encapsulated hypoechoic amebic abscess. For resident radiologist at VGHTC Dr. Hsin-Yu Tsai, the comprehensiveness of STATdx is its key benefit, “With more indicators, there is greater confidence and certainty about what one is looking at. It helps to minimize misinterpretations." With more clinical indicators and images than other tools, STATdx ensures that radiologists are always quickly able to find what they are looking for. In the past, image referencing and diagnosis of each case may have taken up to 30 minutes at VGHTC’s radiology department. However, with STATdx as a one-stop resource of organised information, the time spent per case has drastically reduced to 10 minutes, saving precious time for other important tasks and cases. STATdx’s expert-selected images mean specific and relevant annotated images and notes are returned for every key word search, unlike general web search engines’ results. “The figures from STATdx are clear, concise and specific to the disease entity or topic that I want to review. It saves a lot of time compared to sorting through thousands of pictures on the internet,” said Dr. Cheng, who points out peer-contributed images from resources like Radiopaedia may not always be relevant to the topic of interest. STATdx’s clear and concise differential lists enable resident radiologists to thoroughly consider all possible diagnoses. Such support for radiologic diagnostic decisions brings potential benefits to patient outcomes. “The textbooks are good when you want detailed information on each disease entity. But for clinical practice, a quick differential lists is more useful - I want a quick review of the disease, rather than a very detailed paper discussing the intricacies of every case,” said Dr. Cheng Yun-Chung chief resident radiologist of VGHTC who uses STATdx’s succinct differential lists in his clinical practice. “I find it very useful to have more detailed information on what else I should be thinking of, what other disease entities I should remind the clinician to be aware of,” Dr. Cheng said, who was able to correctly diagnose and treat the condition accordingly with the help of STATdx. I find it very useful to have more detailed information on what else I should be thinking of, what other disease entities I should remind the clinician to be aware of. Dr. Tsai has found STATdx’s differential diagnosis lists particularly useful for complex cases, particularly neurological and gastrointestinal conditions, as well as rare and unfamiliar diseases. 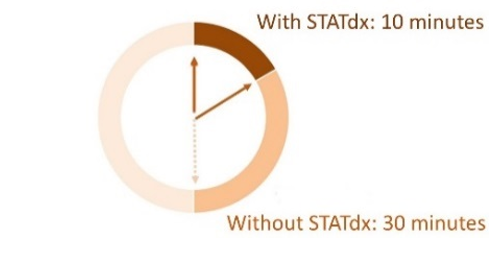 “STATdx’s differential tool is better. The indicators are very clear and comprehensive. It helps to increase our differential diagnosis options and consider other conditions so that we do not miss out any important diagnosis,” she said. Besides being a library of comprehensive content, the accurate images and easy-to-navigate links have enhanced teaching and learning for radiology residents and medical students. Dr. Cheng, who uses STATdx as a teaching tool for interns and younger residents, says that he is now able to find relevant images more effectively, shortening preparation time for teaching presentations. “In the past, searching for information online or from a medical journal might give me 60 percent of what I need to know. Using this platform, I can learn up to 90 percent of the related condition in one place,” Dr. Tsai said of STATdx as a power resource for learning. The large expert-curated database of annotated images and differential lists have given radiologists the tools to make more confident diagnoses and minimise image misinterpretations. Adoption of STATdx has enhanced daily clinical practices in VGHTC for resident radiologists, allowing them to work more effectively by providing comprehensive and concise information all in a single platform. This has resulted in substantial time-savings, greater confidence and accuracy in diagnoses. STATdx has also enhanced medical education and continual development of students and residents respectively, by serving as a comprehensive library of accurate and concise diagrams and content.